One very common issue with which most Access users commonly encountered is with creating a Crosstab Queries. 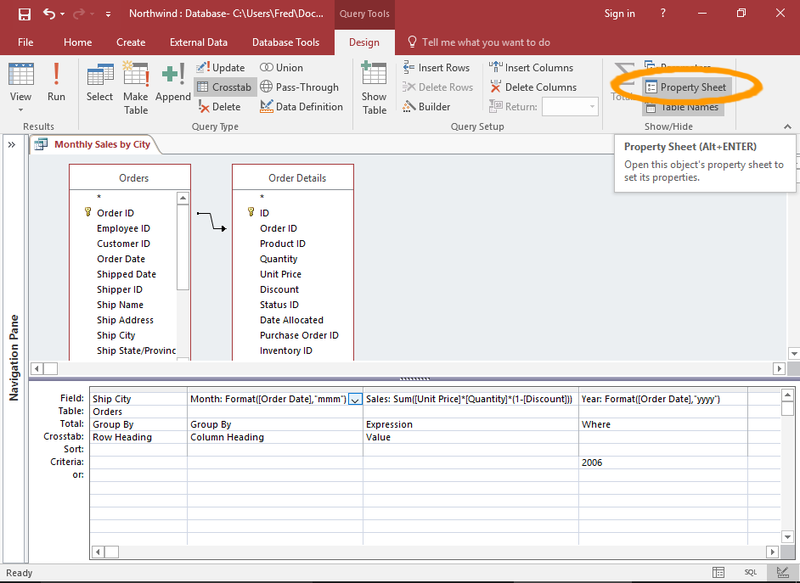 Mainly the problem is that in the crosstab query, a column will only be displayed if there is a data for that group; if there is no data, the column is not displayed. Well you can fix this issue regardless of whether there is data for that column is present or not. So let's start..! 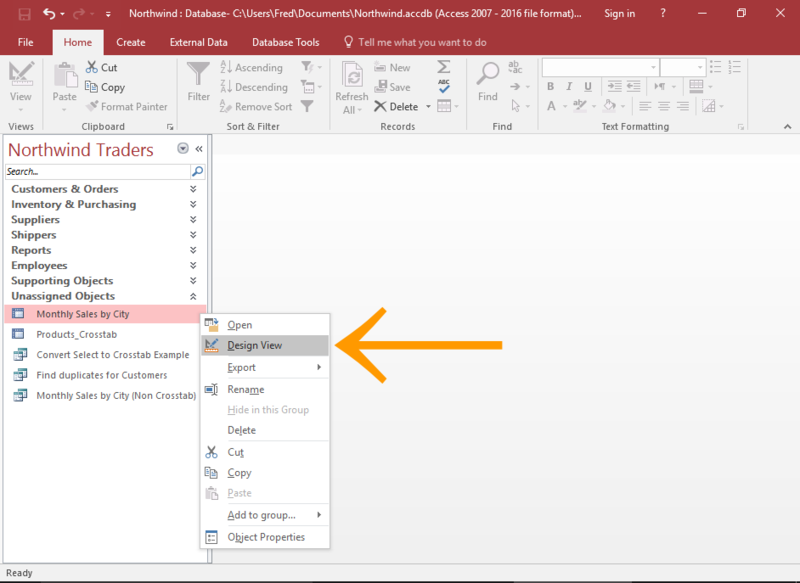 Go to the Navigation Pane and make a right click on the Query and select the Design View from the contextual menu. This will open the query in the Design view. From the Design Tabclick to the Property Sheet in the ribbon. This will open up your property sheet at the side of the screen. 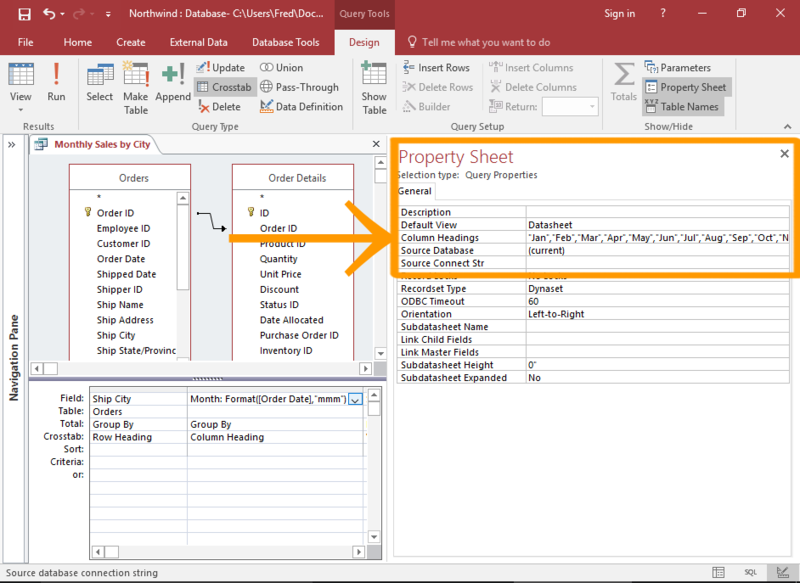 In the column headings property field, put the column headings in the order you want them to place. Explicitly adding column heading tells Access which column heading to be displayed. So even though there is no data assigned for that column, it still appears. After running the query, you will see that all the 12 months are now get listed as column headers, even when there is no data for that month.